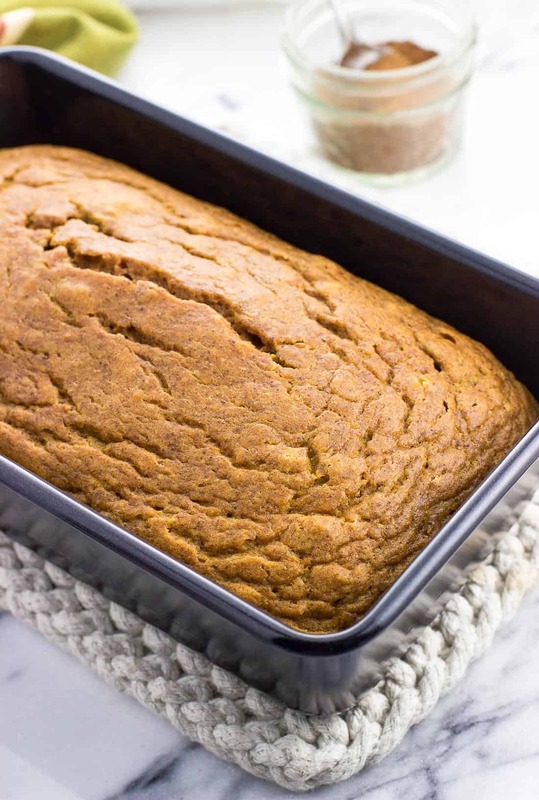 Naturally sweetened pumpkin bread is made with maple syrup for a wonderfully flavored and not-too-sweet quick bread recipe. 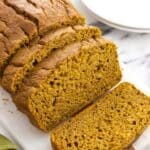 This moist pumpkin bread is easy to make, flavored with a warm blend of spices, and made without refined sugars. It wouldn’t be fall without whipping up a loaf or two of pumpkin bread, would it? And good thing, because I have quite the stockpile of canned pumpkin puree to (happily) make disappear to free up room in my pantry. 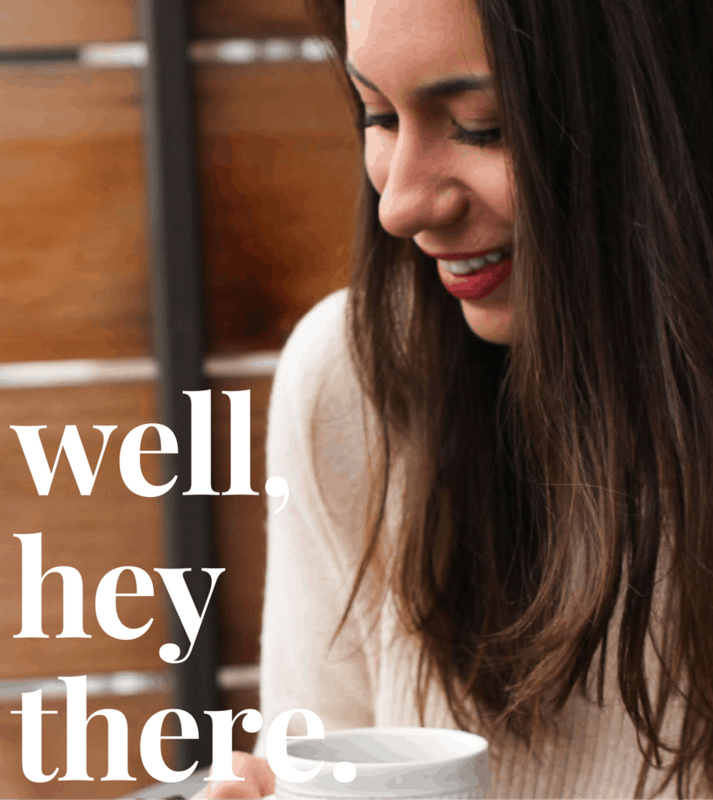 You see, years ago – maybe ten? twelve? – there was a pumpkin shortage in my local grocery stores. Just in time for fall, too. I’m not sure what the deal was, whether the pumpkin crops were afflicted by drought/pumpkin-specific pests or if there was a distribution issue, but all my pumpkin bread plans that year were put on hold for weeks. First world problems, obviously, but since then I’ve developed a habit of casually picking up a few cans of pumpkin puree here and there, just in case something like that happens again. Thankfully it hasn’t, but my hoarding has gotten a little out of hand. That means we’ll be enjoying garlic and herb pumpkin dinner rolls and pumpkin swirl brownies for a good long while. Add to that this naturally sweetened pumpkin bread! Inspired by my naturally sweetened banana bread recipe, I substituted the bananas for pumpkin and switched around a few other ingredients to yield this ultra moist pumpkin bread. 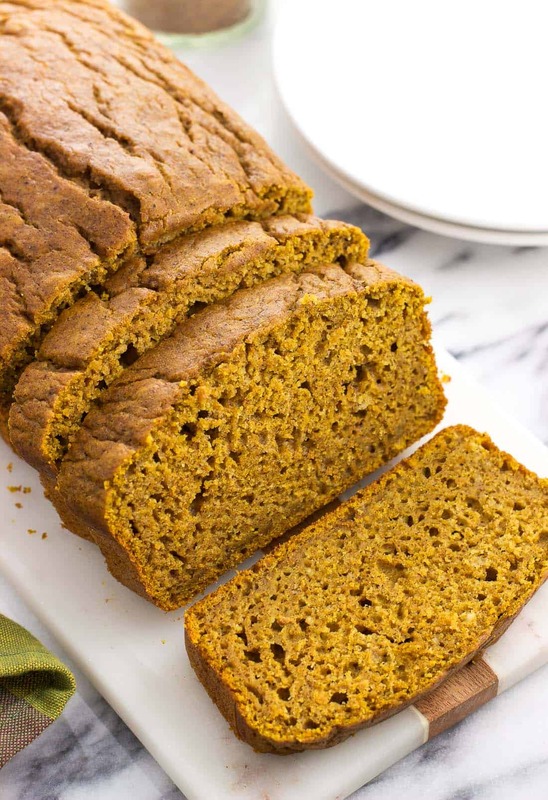 Made without refined sugars, this tender pumpkin bread is spiced perfectly and totally hits the spot as the weather cools down. 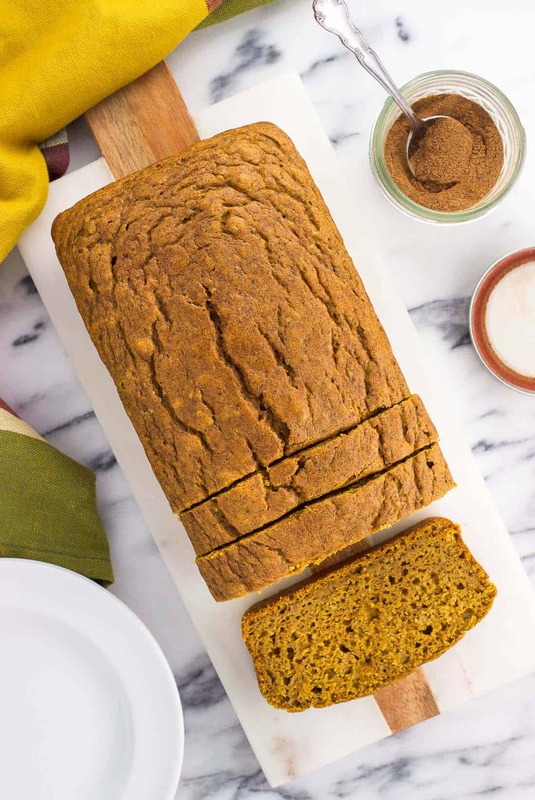 This naturally sweetened pumpkin bread is a quick bread recipe, which just means it’s a bread recipe that rises without the use of yeast. The steps are pretty straightforward. 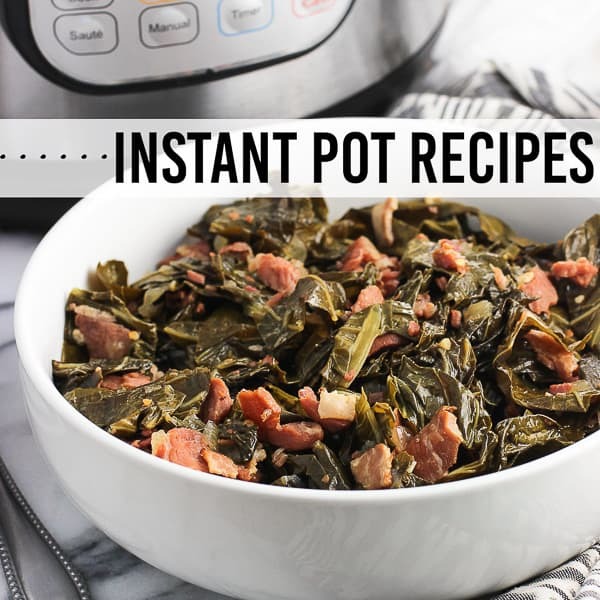 You’ll mix the wet and dry ingredients separately, and then stir the dry ingredients into the bowl with the wet until just combined. Pour it all in the loaf pan and bake. 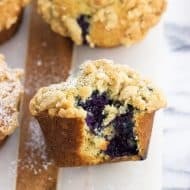 You want to be careful when it comes to quick breads that you don’t overmix the ingredients, because that can cause the bread to become tough. Not what we want! Because of that I like to mix quick breads by hand, using a whisk and a wooden spoon. 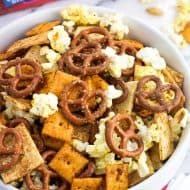 If you prefer you can mix the wet ingredients together with a hand mixer, but definitely combine the wet and dry ingredients using a spoon. That’s the part where it’s easy to overdo it. Stir them together until just combined. It’s okay if a few lumps remain. 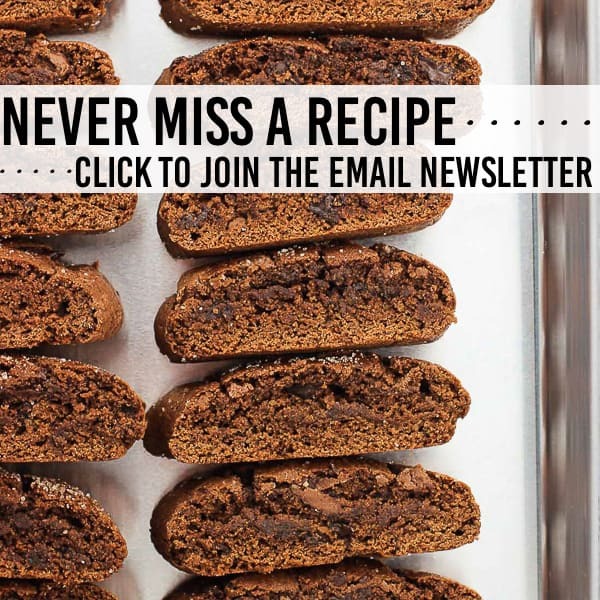 Have you ever experienced a quick bread recipe sink in the middle? That can be caused by there being too many wet ingredients vs. dry, leading to a heavy batter. 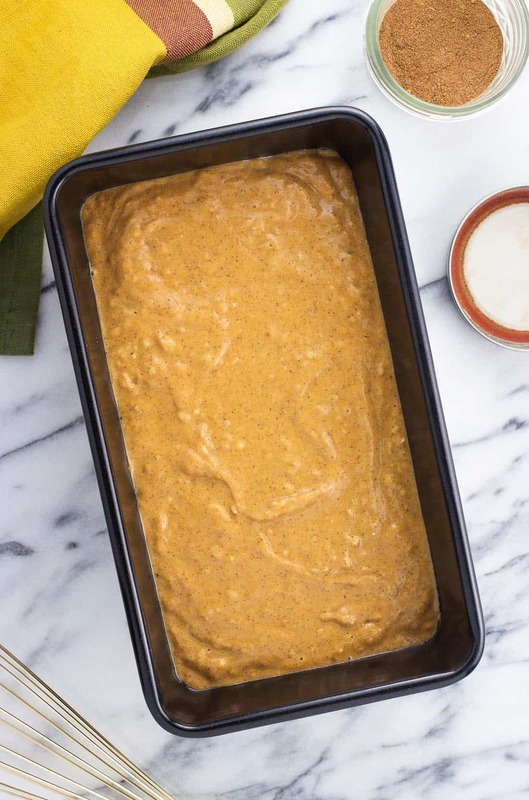 One tip I’ve begun using in quick breads like this naturally sweetened pumpkin bread recipe is to grease just the bottom of the loaf pan, as well as the first inch or so up from the bottom along the sides. 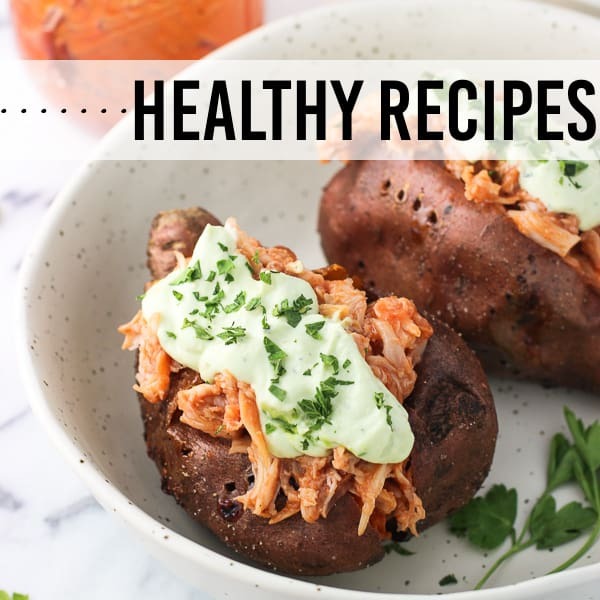 Doing so allows the bottom of the bread to release from the pan after it bakes, while allowing the bread to bake and more easily “rise” up the sides of the pan without extra cooking spray in the way. Gently running a thin spatula along the sides of the loaf pan should release the bread easily. (Keep in mind I use a non-stick loaf pan). 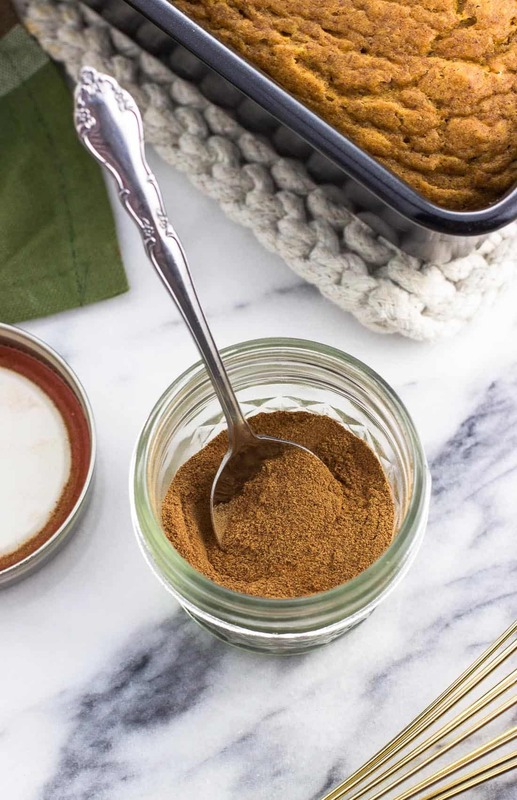 You can buy pre-made pumpkin pie spice, but if you’re a baker it’s likely that you have all the spices you need in your kitchen pantry. 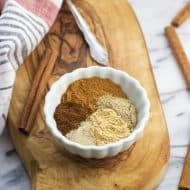 Each homemade pumpkin pie spice mix is probably a little different, but mine uses five common spices: cinnamon, ginger, nutmeg, allspice, and cloves. Ground cinnamon is most prominent, with ginger following. I find it’s a balanced blend with no one spice dominating the others. As written, my homemade pumpkin pie spice recipe (linked in the paragraph above) is enough to last you for several loaves of pumpkin bread. But it’s easy to make a double or triple batch! That post also features homemade apple pie spice, the both of which are excellent homemade gift ideas. When it comes to sweetness, I knew I had to bump it up here (when compared to my banana bread) because pumpkin puree? Well, it’s not sweet. In fact it smells pretty savory when you open a can. 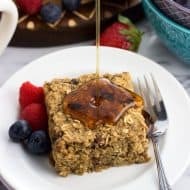 While you can use honey, I really love maple syrup as the sweetener in this naturally sweetened pumpkin bread. 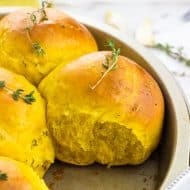 It helps this bread stay ridiculously moist and gives it a hint of maple flavor that works so well with pumpkin, cinnamon, ginger, and the rest of those fall flavors. One-half cup does the trick to sweeten this bread just enough. When combined with the rest of these ingredients, it transforms ho-hum pumpkin puree into the perfect fall treat. Or if you’re on a mission like me to never be without pumpkin, an all-year-round treat. This bread is moist! To prevent it from becoming soggy too quickly, I like to place the loaf on a paper towel, and then place another one on the bread along the surface. Then I’ll store it, paper towels and all, in a plastic bag. You should be able to buy yourself a few days that way. Just make sure the bread has cooled entirely before storing, as the excess moisture a cooling-down baked good releases won’t help things. Combine the wet and dry ingredients by hand to prevent overmixing. It’s okay if some lumps remain. This naturally sweetened pumpkin bread isn’t overly sweet. If you have a sweet tooth, you can gently fold in chocolate chips or top this bread with a glaze. You can use honey or maple syrup here, though I prefer the maple flavor as it adds a special touch to this seasonal bread. Preheat oven to 325°F. Grease the bottom and first 1-2" of the sides up from the bottom of a 9"x5" loaf pan and set aside. 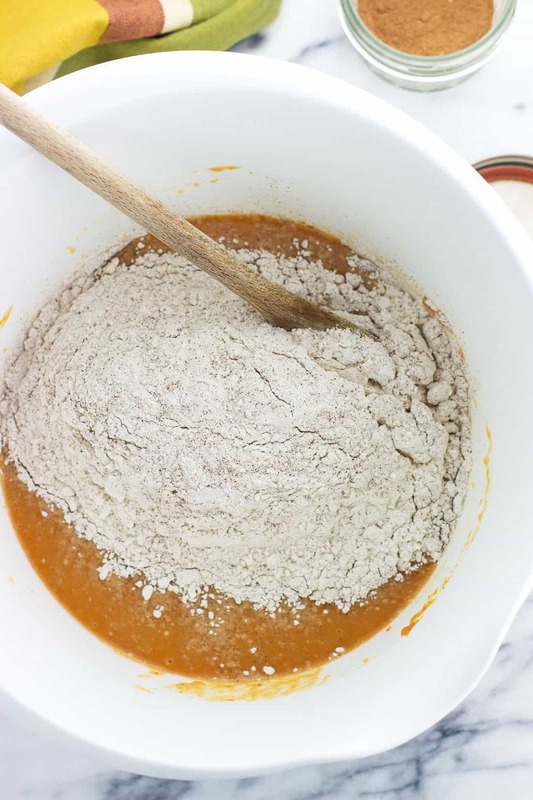 Whisk together flour, pumpkin pie spice, baking powder, salt, and baking soda in a bowl. 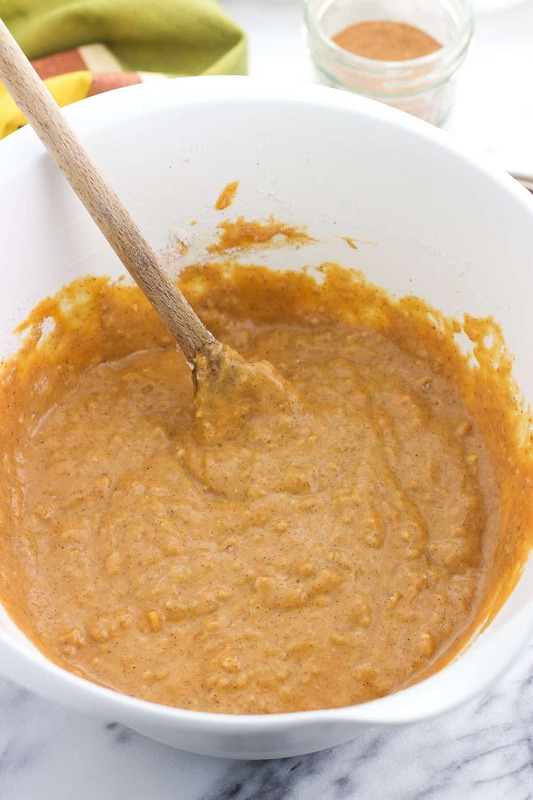 In a medium-sized mixing bowl, add pumpkin puree, milk, maple syrup, oil, eggs, and vanilla extract. Whisk until combined. Add dry ingredients to the bowl with the wet and stir until just combined. It's okay if a few lumps remain. 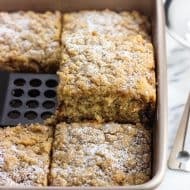 Pour batter into the prepared loaf pan and bake for 55-65 minutes, or until a tester comes out clean when inserted into the center of the loaf. Let bread cool in the loaf pan for about 10 minutes, then carefully loosen edges with a knife or spatula and transfer to a wire rack to cool completely before slicing.